The bull does not consent to be put in that position and it is only there because some humans put him there. Therefore, humans have full responsibility of the situation. The bull is imprisoned and mistreated by humans in order to trigger a violent reaction. The bull would probably not be trying to kill anyone if left alone. There is still a moral obligation to respect the right to life. 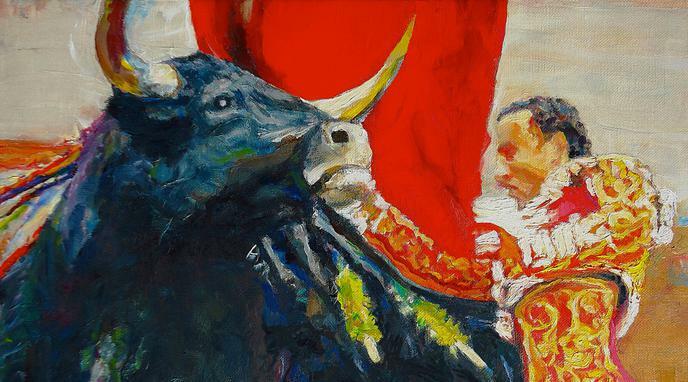 More importantly, in a bullfight the matador could easily leave instead of persisting in the fight.